Lemon lovers, this one’s for you! Cheery, puckery, and tender, this lemon pound cake is what golden sunshine and happiness looks like if you could slice it and put it on a plate. This lemon cake is basically a regular pound cake recipe with a few additions to increase the flavor and soften the crumb. For this recipe, I added an extra egg yolk and sour cream, and replaced the all-purpose flour with bread flour to give more structure to the loaf and get a better rise. Bread flour has more protein than all-purpose flour. The protein in the eggs and the flour create the structure for the loaf and combat the weight of sugar and butter. The sour cream and lemon juice add moisture, flavor, and acid to activate the baking soda. All of this combines to create a lemon pound cake that is still dense, but also soft and fluffy. The outside is deep golden brown, while the inside is lemony yellow. I typically go by weight when it comes to flour. All flours are a little different, so going by weight is the best way to ensure your version will turn out like my version. If you don’t have a kitchen scale and prefer to measure flour by volume, that’s cool. I just recommend spooning the flour into the measuring cup and leveling it off. If you practice the scoop and sweep method, there’s a good chance you’ll pack a little too much flour into that cup, and it could impact the results. Old habits die hard; I get it! Regardless of how you measure flour, a good rule of thumb is to fill your loaf pan 2/3 full. 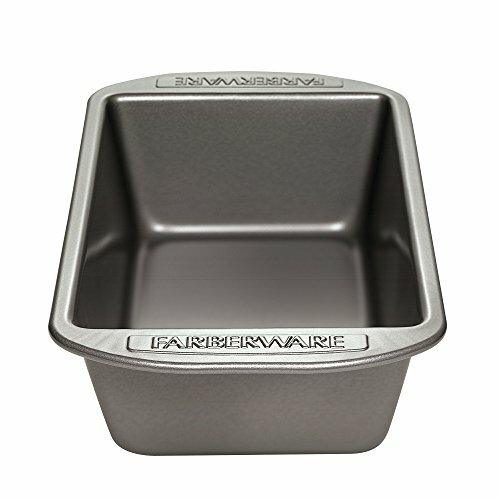 That will keep it from overflowing due to discrepancies in loaf pan sizes or flour measuring techniques. Pucker up, people! This lemon pound cake is a triple threat of lemon and all its glorious tartness. First, I use both lemon zest and juice in the batter. Second, I soak the cake in lemon syrup, and for the grand finale, the cake is coated with lemon frosting. EMBRACE THE CRACKS IN YOUR CAKE! Pound cakes are dense, which means the outside cooks much faster than the inside. When baked, the surface of the cake can crack down the center. Don’t worry, it’s perfectly natural. The shallow cracks on the cake’s surface works to our benefit by allowing the lemon syrup to penetrate deeper into the cake, giving this lemon pound cake an even more pronounced lemon flavor. Then, the thick lemon glaze covers the cracks, and no one will be the wiser. When you hold a lemon in your hand, it should feel heavy. If it does, then chances are you have a juicy one; if it feels light, skip it and keep lifting lemons. Don’t worry about the way you look. All the cool kids are doing it. A slice of this lemon pound cake is a great way to start your morning, or enjoy as an afternoon pick-me-up with hot tea, or dress it up a bit for dinner by pairing it with homemade strawberry ice cream. Lemons and strawberries are like lovers who are better together. Lemon pound cake will keep on the counter for five days. Keep it covered with cellophane. If you want to make it ahead of time and freeze it to serve at a later date, prepare the cake through the point where you soak it in the lemon syrup. Once it has cooled completely, wrap it tightly in cellophane, then in a double layer of aluminum foil. It will keep in your freezer for up to three months. Thaw on the counter, and frost just before serving. MORE POUND CAKES AND QUICK BREADS! You will need 3 lemons for this recipe, zested and juiced. The lemon icing is quite sharp. If you prefer a sweeter icing, simply replace the 2 tablespoons of lemon juice with 1 tablespoon of water and 1 tablespoon of lemon juice. 1 Preheat oven to 325°F. 2 Prep the pan: Butter the bottom of a loaf pan. Cut a piece of parchment paper so it covers the bottom of the pan and goes up the long sides of the pan like a sling. The short sides shouldn’t be covered. Leave enough parchment hanging over each side so that you can easily lift the loaf out of the pan. 3 Whisk dry ingredients: Whisk together the flour, salt, and baking soda. Set aside. 4 Begin making the batter: In the bowl of a stand mixer fitted with a paddle attachment, beat together the sugar, butter, and lemon zest on medium to medium high for 8 minutes. Stop occasionally to scrape down the bowl. Add the sour cream and beat for one more minute, scraping down the sides of the bowl halfway through. One at a time, add the eggs and egg yolk, scraping down the bowl between additions. Add the lemon juice and beat for 1 more minute scrape down the sides of the bowl halfway through, and once more before adding the flour. 5 Add the flour to the batter: Set the stand mixer to stir (or the lowest setting) and add the flour mixture. Stir for about 1 minute or until the flour is just incorporated. Shut off the mixer and remove the bowl. Use a spatula to scrape the sides and bottom of the bowl, and finish folding the ingredients together. The batter will be thick and velvety. 6 Bake the pound cake: Scrape the batter into the prepared loaf pan. Smooth the top with a spatula. Bake for 1 hour and 35 minutes, or until a skewer inserted into the center of the cake comes out clean. 7 While the lemon cake bakes, make the lemon soaking syrup: In a small saucepan set over medium high heat, combine sugar, lemon juice, and water. Stir occasionally and bring to a low boil. The syrup is ready when it looks transparent and is no longer cloudy. This should take about 5 minutes. Let the syrup cool. 8 Soak the cake with syrup: Once the cake has finished baking, remove it from the oven. It will have a slight crack down the center. That’s ok. Let the cake cool in the pan for 10 minutes. With the cake still in the pan, pour half of the lemon syrup over the entire cake. Let it soak in. Then pour the remaining syrup over the cake. Let it continue cooling in the pan for another 15 minutes. 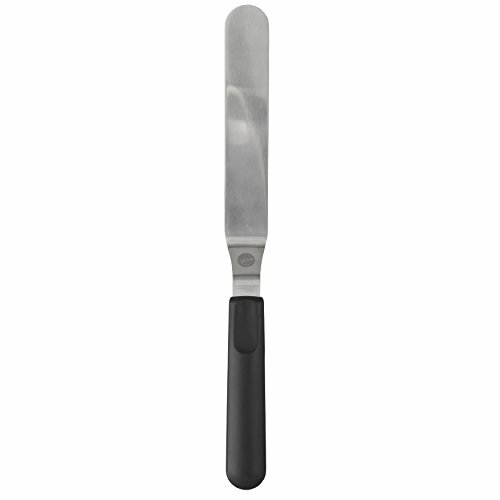 Run a knife along the ends to help release the cake. Use the parchment sling to lift the cake out of the pan, and set it on a baking rack to let it cool completely. 9 While the cake cools, make the icing: In a medium microwave-safe bowl, melt the butter in the microwave for 10 to 20 seconds. Make sure you cover it so you don’t end up with splattered butter everywhere. Add the powdered sugar. Whisk together while adding the lemon juice one tablespoon at a time. 10 Frost the cake: Once the cake is completely cool, pour the icing over the lemon pound cake. Gently spread the icing so it completely covers the top. It should be white and thick. Slice and serve. Hello! All photos and content are copyright protected. Please do not use our photos without prior written permission. If you wish to republish this recipe, please rewrite the recipe in your own unique words and link back to Lemon Pound Cake on Simply Recipes. Thank you! Any experience with using gluten free flour? Seems like it would be ok to make as GF flour tends to be denser than flour. Charlene, you could certainly try it with gluten free flour. We recommend Bob’s Red Mill Gluten Free 1 to 1 baking blend, but I haven’t tried it yet with this recipe. My only concern is that this recipe might benefit from a slightly more custom arrangement of GF flours because the original is made with bread flour which has a higher protein content than all-purpose (AP) flour. GF flour blends tend to favor recipes made with AP flour. If you do try it, please let us know how it goes! Made it – can’t stop eating it! Give yourself plenty of “time” to make this cake – the steps are all worth it! I did use bread flour and it gives the pound cake a nice dense texture so that when you cut it it doesn’t fall apart. Thanks for the recipe! Hi, Charlene! Thanks for letting me know you liked the recipe! Have a great day! I made this the other day and I’m looking forward to have it this morning for a snack. It is so delicious. Hi, Judy! It’s Summer, the recipe developer! I’m glad you liked the lemon pound cake! Thanks for letting me know! Made this with AP flour and it turned out great. Might try with bread flour next time just to see if it makes a difference, but if you don’t have bread flour in your pantry, don’t let that stop you from giving this a try! Hi, Anna! I’m so glad it worked for you and you loved it! Thanks for sharing your experience with everyone!